We are a Registered Business and CDJA & Connect (ALVA) Licensed & Certified. We are fully licensed with the City Of Edmonton, The Province of Alberta and covered by full liability insurance. 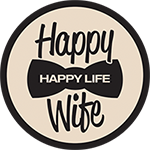 Happy Wife Happy Life and its employees are covered by mobile event liability insurance up to 2 million dollars.